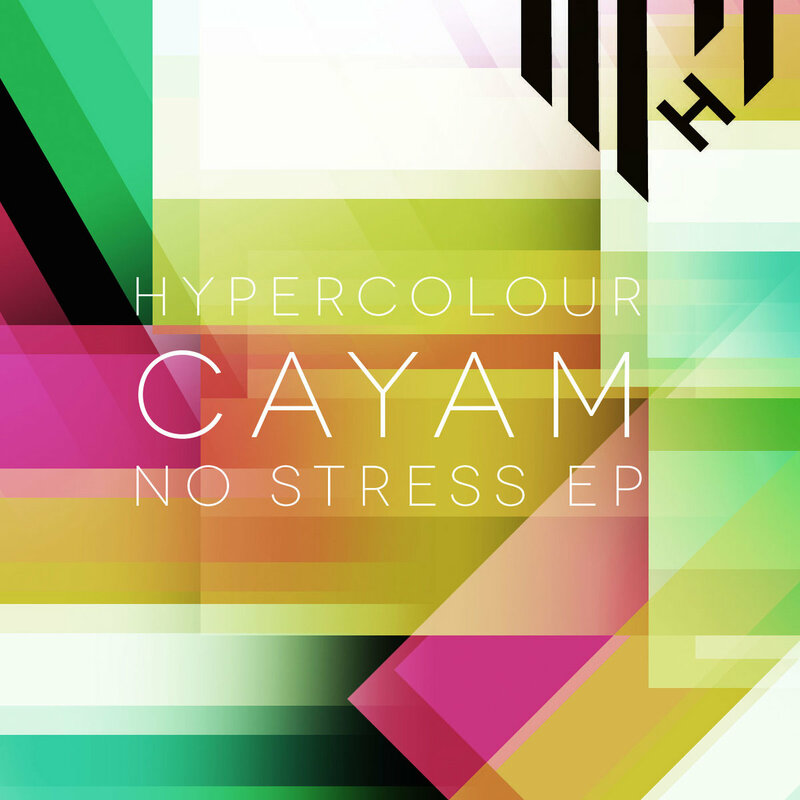 Introducing Cayam to the Hypercolour family, a new artist coming to the stable fully formed, with an impressive debut of superior techno tinged tracks that are designed for the more discerning dancefloors..
‘No Stress’ comes in two versions here, the minimal, mechanical funk of Version 1 is a proper head nodder, the infectious vocal hook and bouncing synth melody are the trademarks of a sure winner here. Version 2 tweaks it out a little, adding some extra subtle melodies, and dubby inflections. ‘Gloom Doom’ is a sublime slice of trance inducing, driving melodic techno, echoing shades of the classic European tracks as yesteryear without ever sounding pastiche.